Our president, Michael Ciravolo, is a Forensic Questioned Document Examiner who boasts an impressive 40-year career in law enforcement, including countless investigations of fraud and crimes involving forgeries. Mike’s most high-profile assignment as lead supervisor of the Zodiac Task Force in the summer of 1990 relied heavily on analysis of hand-written documents left at the scenes of crimes by the killer, and sent to newspapers and the New York City Police Department. Throughout his career with both the New York Police Department and as a private investigator, Mike investigated hundreds of forgery cases, including those related to check fraud. He is also noted as having lead the private investigation as into the authenticity of several sculptures believed to have been created by famed artist, Willem de Kooning. Mike joined the New York City Police Department in 1968, where he spent time at the 34th Precinct in Washington Heights, the 42nd Precinct in the South Bronx, The Street Crime Unit and the Organized Crime Control Bureau. Upon his promotion to Sergeant, Mike served on patrol at the 1st Precinct covering New York’s Financial District and SoHo. He was then assigned to Manhattan South Field Internal Affairs Unit, which was followed by assignments as Executive Officer of the 104th Detective Squad in Maspeth, Queens. Prior to being selected to head the Zodiac investigation, Mike was named Commanding Office of the Crimes Against Senior Citizens Squad. Following his involvement with this landmark investigation, Mike was promoted to Lieutenant and was Commanding Officer of the 115th Detective Squad in Jackson Heights. Throughout his illustrious career, Mike made in excess of 1,000 arrests and was awarded numerous department citations, including the prestigious Chief of Detectives Award. 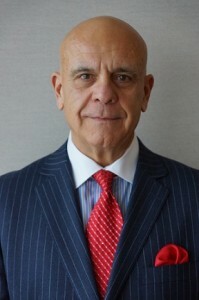 Upon his retirement from the NYPD in 1992, Mike became a New York State Licensed Private Investigator and has worked in private investigations since that time. To learn more about RM Real, check out Our Process or reach out to us directly on our Contact page.